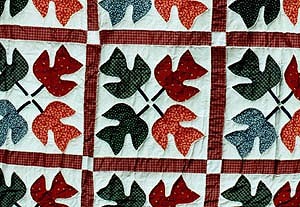 Quilts are handmade by Gran Smith - with years of quilting experience. Quilts are made by Bubba's Gran Smith.....and Gran Smith is lovely 79 yr. old lady, who makes every quilt by hand. Remember, Gran is fast....but she is the only one who qualifies to make "Uncle Bubba's Quilts...'cause we're special...and to say the quilts are special would be an understatement. Each quilt comes with Gran's picture....They are truly "Made By Hand"...in the Great Smoky Mountains of N.C. (No special orders)....Grand does it her way or No Way! Enter Uncle Bubba's Store to order your quilts online.